Another DC Comics hero is joining the ranks of The CW’s Arrow / Flash universe. Mari McCabe — a.k.a. 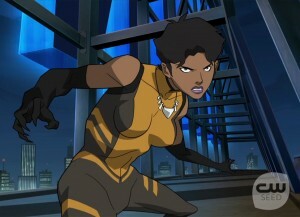 Vixen — will make a guest appearance on Arrow in the second half of the season, according to a report from TV Insider. Actress Megalyn Echikunwoke has been (re-)cast in the role, which she voiced for The CW’s animated web series earlier this year. When the network rolled out Vixen on its CW Seed streaming service — from the same creators as Arrow — fans were quick to speculate that they might be priming the character for an entrance into the live-action universe. 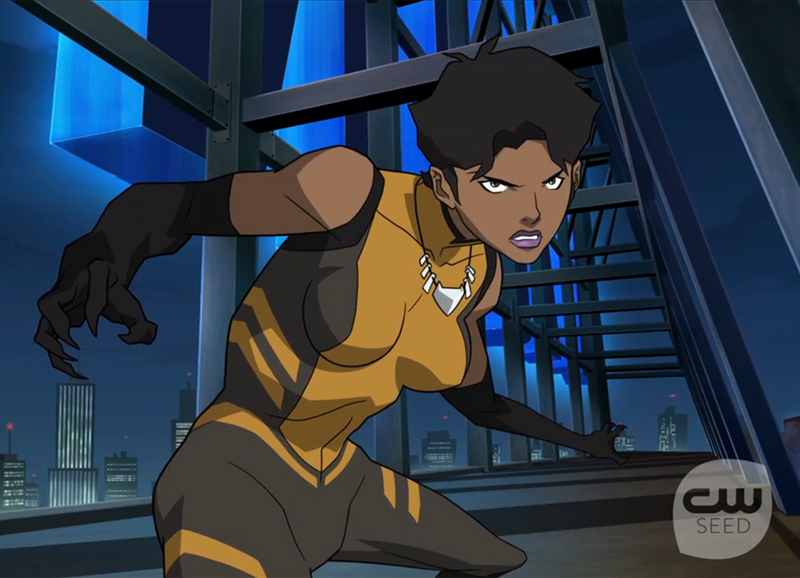 Vixen gets her powers from the magically-endowed Tantu Totem that she wears around her neck, which allows her to tap into the powers of any animal that has ever lived on Earth. Mari is a native child of Africa, who was orphaned at a young age. Now she fights crime on the streets of Detroit. The character was created by Gerry Conway and Bob Oksner and first introduced in 1981. At various times in the comics’ lore she has been a member of the Justice League. 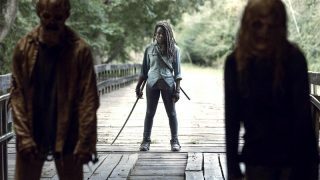 The animated series was released in six 5-minute shorts in August and September, with the entire first season coming in at 31 minutes. Stephen Amell (“Oliver Queen”) and Grant Gustin (“Barry Allen”) guest starred, as did Carlos Valdes (“Cisco Ramon”) and Emily Bett Rickards (“Felicity Smoak”). The CW’s one-two punch of DC shows returns in January as a one-two-three punch: The Flash airing on Tuesdays (returning January 19), Arrow on Wednesdays (January 20), and the new time-traveling team-up Legends of Tomorrow spinning off on Thursdays (January 21).